This article, originally published on Dec. 24, 2016, was updated April 6, 2018. The U.S. Department of Homeland Security (DHS) has delayed the date when it will stop accepting some states' standard-issue driver’s licenses as valid identification at U.S. airports. 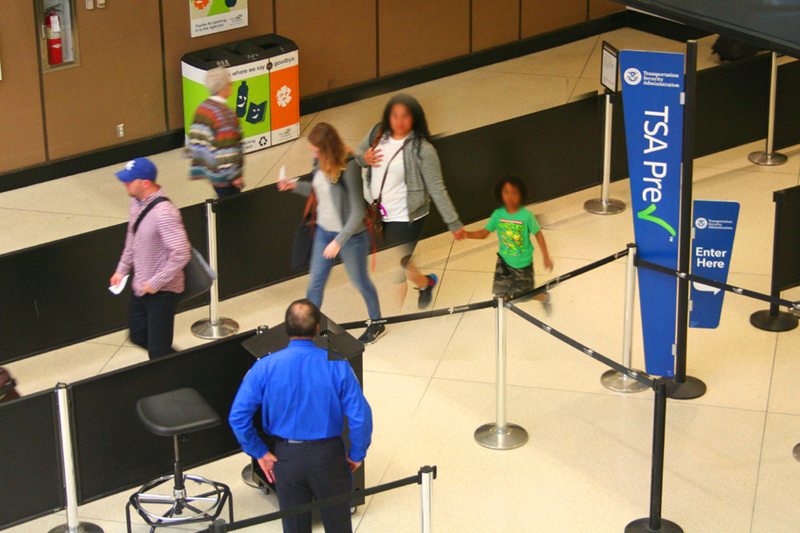 With the summer travel season soon upon us, many air travelers will be relieved to know that their states' driver's licenses will still get them through security and on to their waiting aircraft until October 2020. 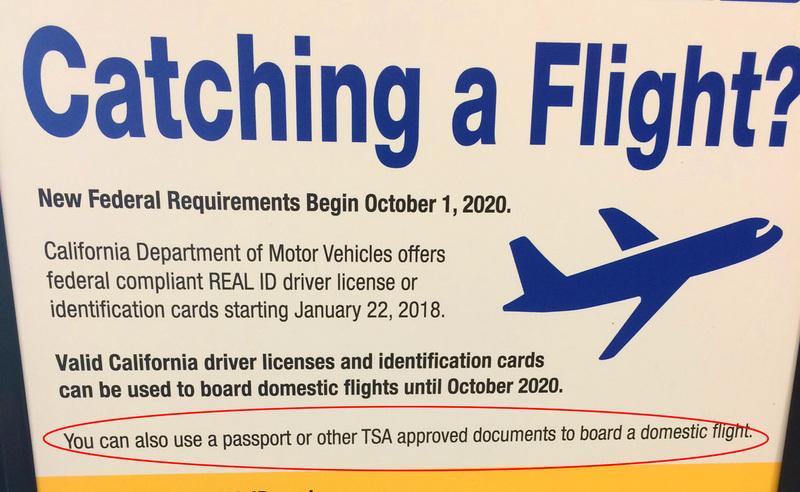 When I joined the federal disaster relief effort in October 2017, the TSA had be warning residents of five states that, starting Jan. 22, 2018, they would need an alternative form of identification to fly because their states' processes for issuing standard driver's licenses did not comply with a provision of a federal law passed in 2005. As of this update, every state in the U.S. and every territory except American Samoa are either compliant with the law or have been granted an extension. In anticipation of my state's driver's licenses becoming non-compliant during the time I would be deployed on disaster relief duty, I took my U.S. passport, which is one of several types of ID acceptable to TSA other than compliant driver's licenses. In addition to a passport, military ID, or other similar identification, the states of Minnesota and Washington issue "enhanced driver's licences" (EDLs) and California is offering what it is calling a READ ID driver's license. When issuing those documents, states confirm the identity and citizenship of the holder. These are acceptable alternatives to a passport for re-entry into the U.S. via land or sea, and are considered acceptable ID under the REAL ID Act for domestic air travel. International air travel will still require a U.S. passport. In addition to more stringent documentation requirements, EDLs cost a bit more than standard driver’s licenses. Accordingly, states may issue both standard licenses, which may not be compliant with the REAL ID Act, and EDLs, which are compliant. Washington state issues both standard and EDLs and that is, in a measure, deliberate. Part of the thought process around the state’s prior decision not to require proof of citizenship for a standard driver’s license was that it was better to have people who may not be in the U.S. legally prove their familiarity with prevailing traffic laws by passing a driver’s exam than the alternative of having unlicensed and potentially uninformed drivers on the state’s roads. However, the matter has been re-introduced in the 2017 legislature to revisited in the months ahead. As of this writing, a U.S. passport costs $110 for adults and is good for 10 years. First-time applicants will also be assessed a $25 processing fee. 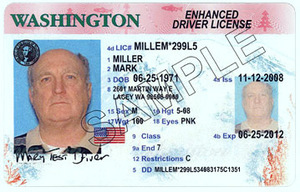 Enhanced driver's licenses in Washington state cost $108 for the first issuance and are good for six years, which is $54 more than a standard driver's license. On an annual basis, the cost is about the same for a passport and an EDL. A passport costs $11 per year while an EDL costs $9 additional per year over a standard driver's license. Because EDLs only allow international travel to Canada or Mexico by land or sea, anyone who plans to travel internationally would do well to consider obtaining or renewing their U.S. passport. The additional flexibility it provides is well worth an additional $2 per year. Other forms of acceptable ID are a U.S. passport card; a passport issued by a foreign government; DHS trusted traveler cards including Global Entry, NEXUS, SENTRI, FAST; U.S. military ID for active duty or retired military and their dependents, and DoD civilians; permanent resident card; border crossing card; airline or airport-issued ID if issued under a TSA-approved security plan; federally recognized tribal-issued photo ID; Canadian provincial driver's license or Indian and Northern Affairs Canada card; transportation worker identification credential or Immigration and Naturalization Service Employment Authorization Card (I-766), among others, according to the TSA website. While it has not heretofore been required in the United States, requiring proof of citizenship for air travel is not without precedent elsewhere. During our trip to Canada in 2015, all passengers boarding flights from Toronto to Montréal, and from Montréal to Vancouver had to show passports or other proof of citizenship, even though the flights were domestic flights entirely within the borders of Canada. For additional background, please see my previous post on the topic.